Vin Baker was one of the NBA’s elite players, but an alcohol addiction cost him everything. 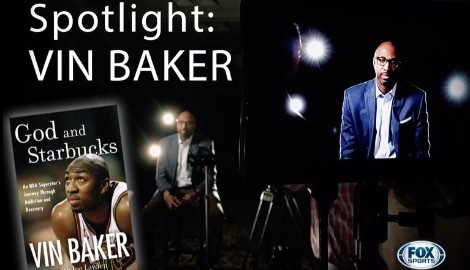 From a first-round draft pick, four-time NBA All-Star and Olympian to a minister, barista, author and broadcaster, “Spotlight: Vin Baker” covers his story of redemption. Exodus House is a proud sponsor of "Spotlight: Vin Baker" through our partnership with Fox Sports Wisconsin. We'd like to extend a huge thank you to Fox Sports Wisconsin for their continued friendship and support.